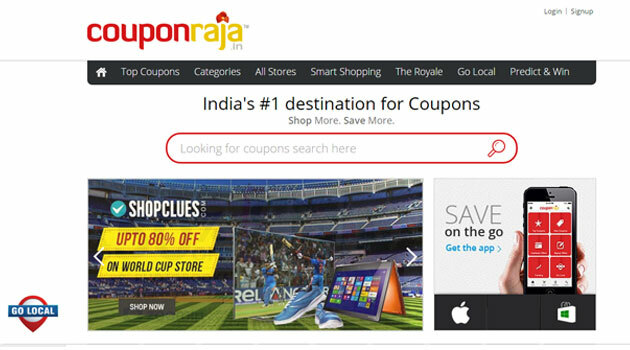 Mumbai-based Logicserve Digital Pvt Ltd, which owns and operates coupon site CouponRaja.in, is in advanced talks to raise $500,000 (Rs 3 crore) from three unnamed US-based investors, a senior executive of the company told Techcircle.in. The funds will be invested in technology, marketing, and team expansion. "We will close the round in the next couple of weeks," said Anshuman Mishra, COO, CouponRaja. The company will also look to raise $5 million in its Series A round of funding in a couple of months from both foreign and Indian VCs. Logicserve, which also holds another firm under its umbrella called CompareRaja, an online price comparison, shopping & product discovery site, is set to split the two into different heads. "It has not been finalised yet, but most likely the businesses will be called CouponRaja Web Business and Logicserve Digital," added Mishra. Operating in the online coupon space since 2008, Logicserve runs a slew of portals including Voucherking in the UK; Big Ticket Shop in the UK; Gutscheinheute.de in Germany; besides CouponRaja in India. CouponRaja was launched in 2012 by the duo of Prasad Shejale and Rohit Chugh. While Shejale has completed his higher studies from Goa Institute of Management, Chugh has done his MBA from Indian Institute of Calcutta. The site offers discounts and deals on thousands of categories & products across fashion, travel, and food & drinks etc. It also plans to hire about 20 people in the next couple of months. The current team size is over 50 employees. The company claims to be doing 30-35,000 transactions per month and the revenues stand at around Rs 40 lakh on a monthly basis. "We aim to close the year with Rs 3 crore in revenues per month," Mishra said. In this space, the startup competes with a number of players in the Indian market including Rocket Internet-backed CupoNation and CouponDunia. CouponRaja.in Logicserve Digital Pvt. Ltd.